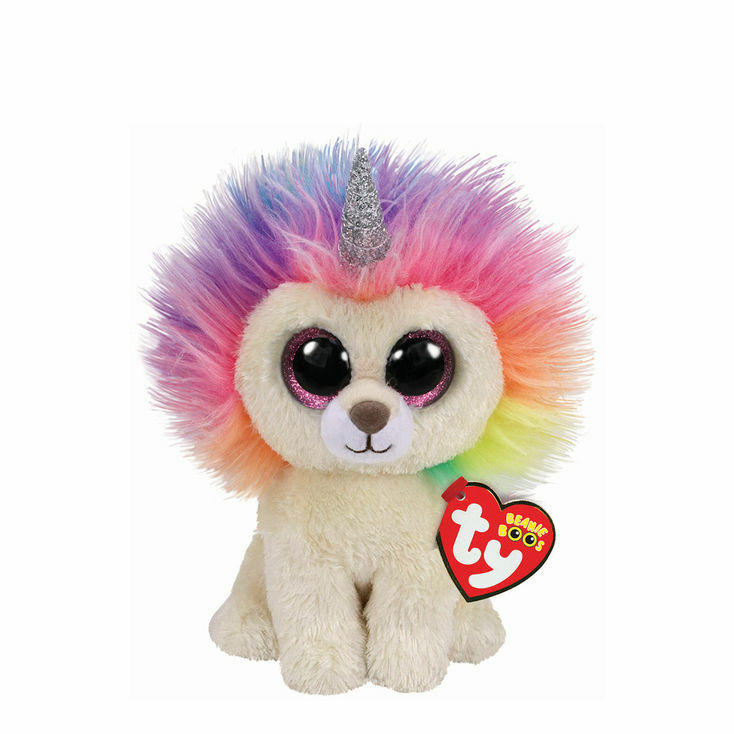 Layla is a pale yellow unicorn lion with large, glittery purple button eyes and a brown nose. She has a rainbow coloured fluffy mane and the tip of her tail also features this fluffy rainbow fur. She has a sparkly silver horn on top of her head. I’m the most special lion that ever was born. Layla was released in October 2018. Her Birthday is on 5th August. Layla is a Claire’s exclusive Beanie Boo.